Choose from 1D CCD, 2D and 2D Long Range imager. Either USB OTG or wireless Bluetooth connection. Whichever model you choose you’ll be up and running in no time. 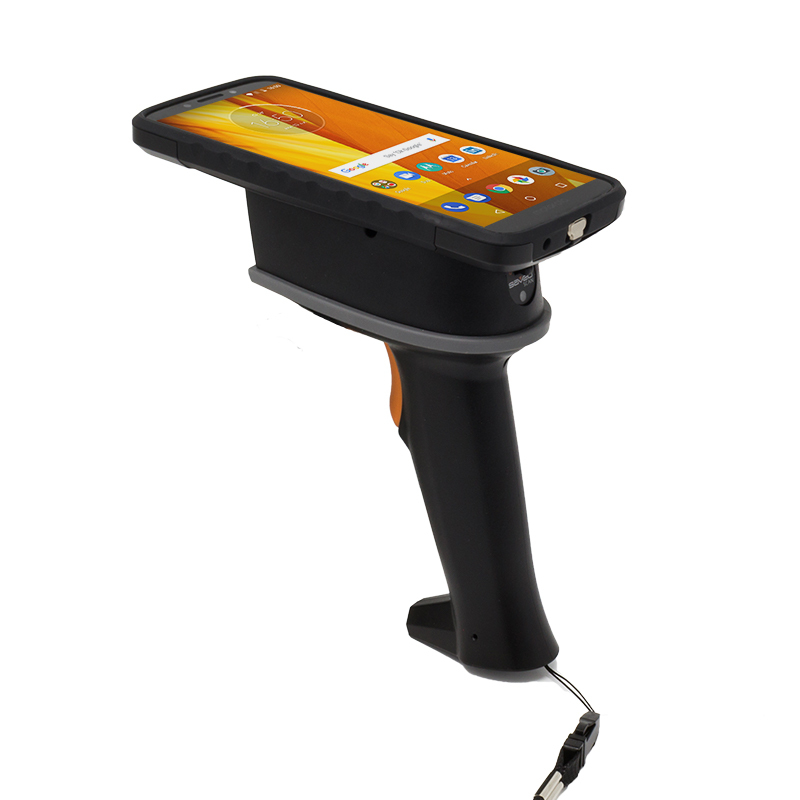 Saveo Scan enables you to convert your smartphone or tablet into a high-performance handheld barcode scanner suitable for use in multiple areas as outlined in the Applications list below. 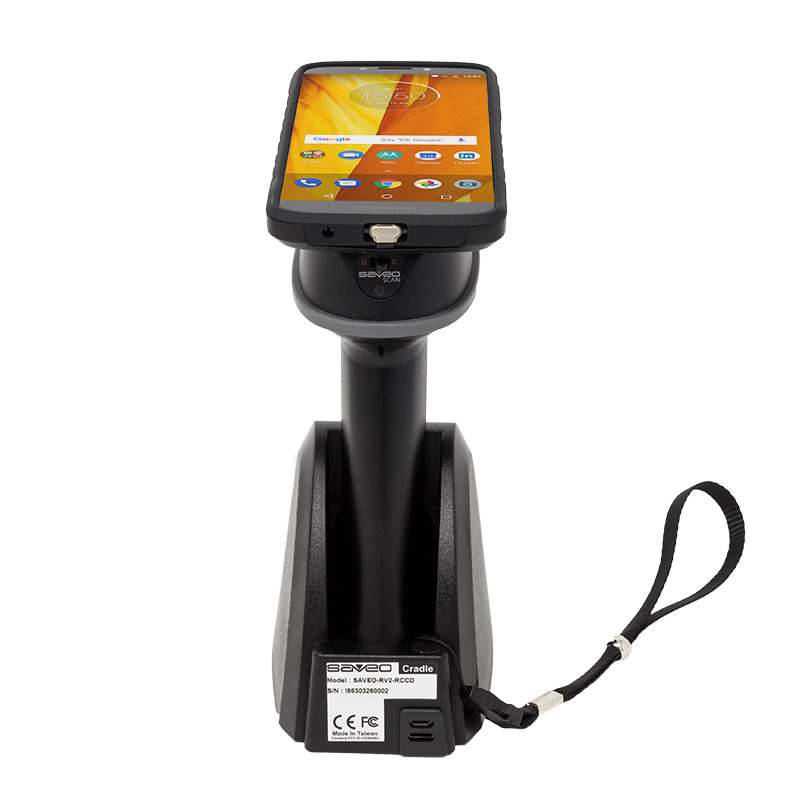 It works with any smartphone or tablet that runs either on Android and Windows or has Bluetooth capability. 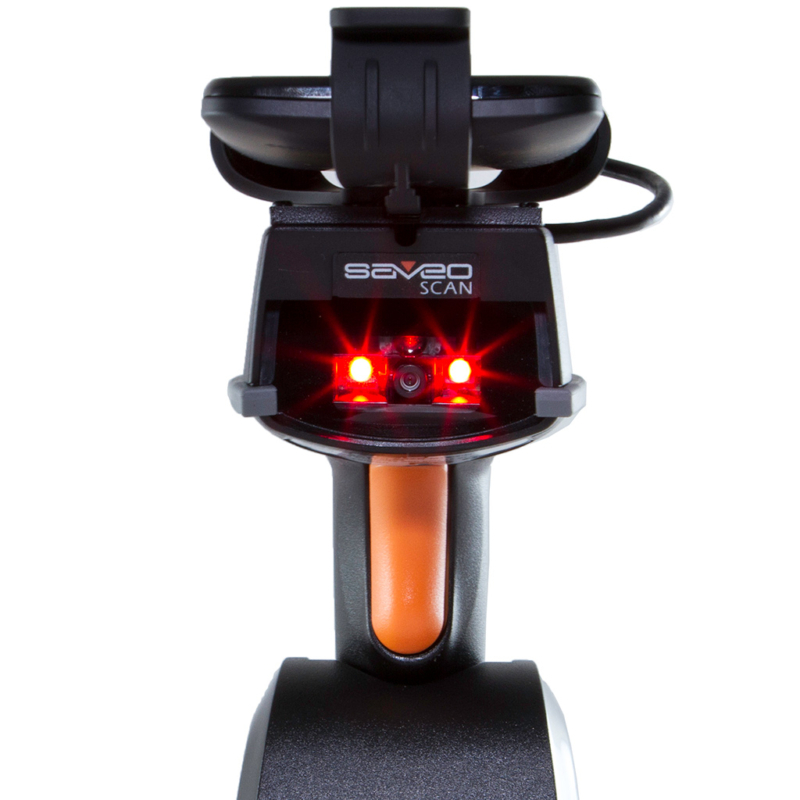 Saveo Scan comes in a range of mounting options. 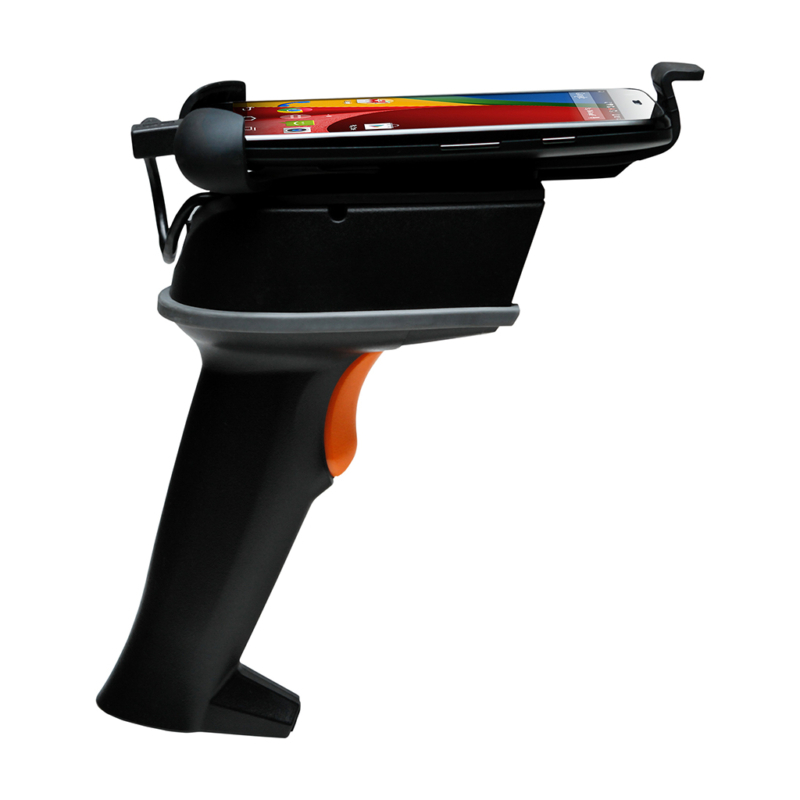 The adjustable smartphone holder is a quick and easy way to secure your smartphone to the scanner and can even accommodate your phone with the case still on. 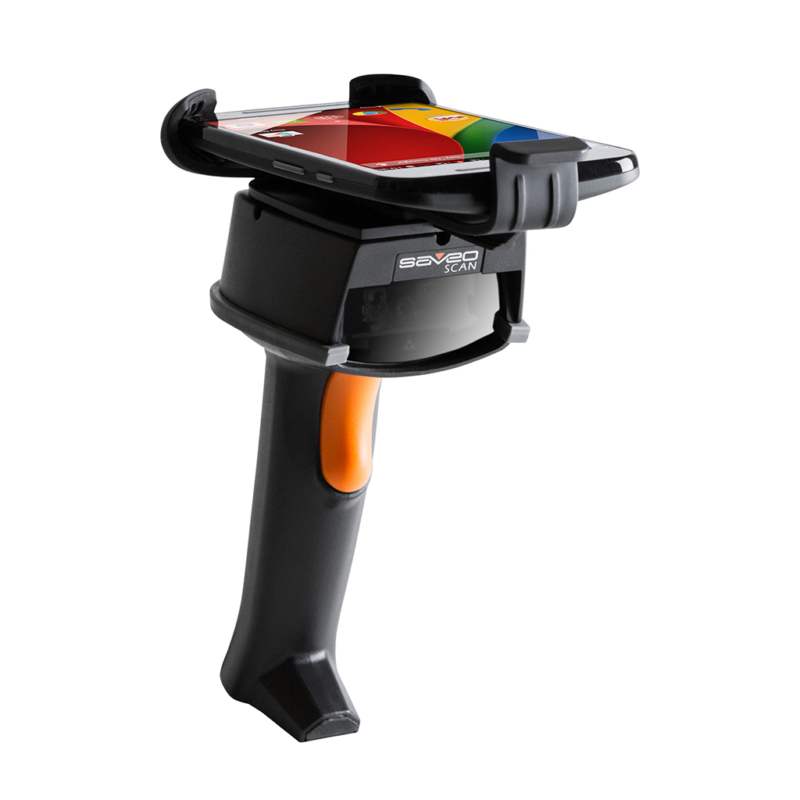 There is also a rugged option that includes a case that offers the highest protection which can then be clipped onto the scanner. Retail, Inventory Control, Mass Transit, Field Service, Access Control, Ticketing, Pharmaceutical. No App required. SDK available. 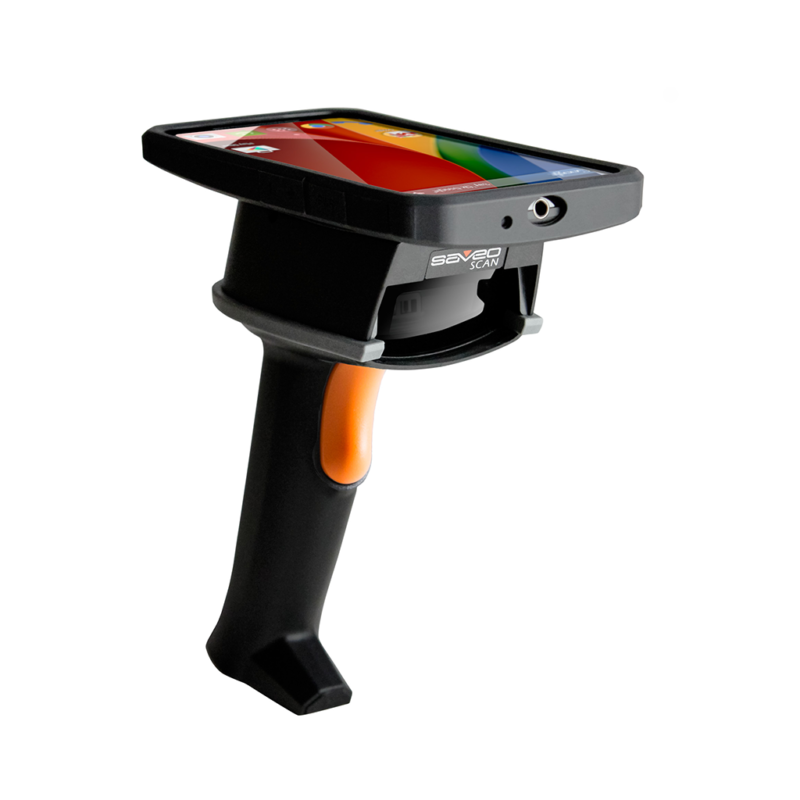 Start scanning instantly, saving the time and cost of software development. A USB OTG-compatible Android smartphone or tablet will allow wired data connection, while Bluetooth connectivity is possible with any Android, Windows or Bluetooth based mobile device. 1D CDD, 2D imager and 2D Long Range imager. 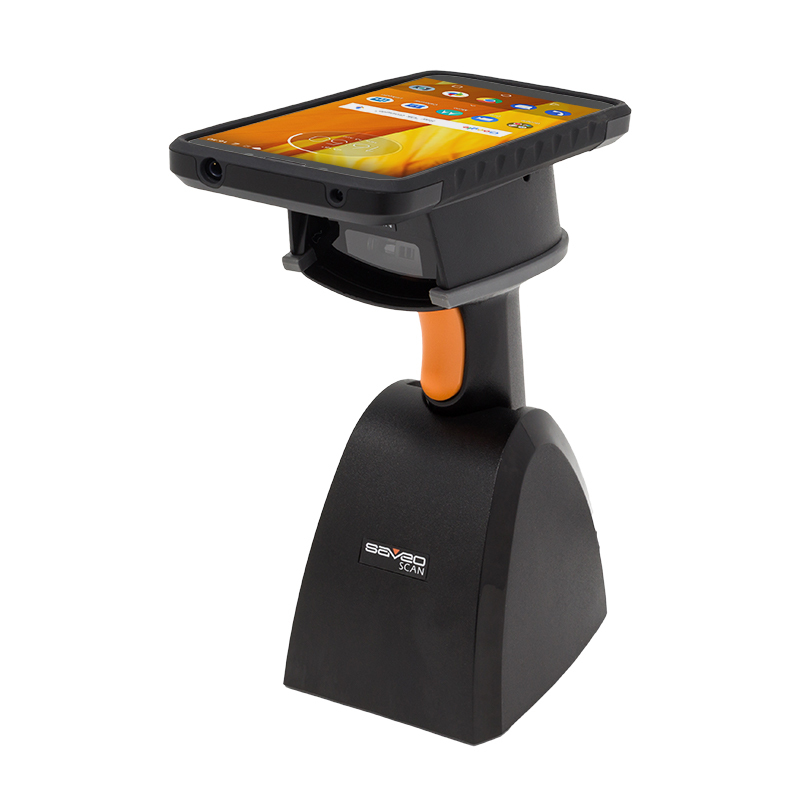 Choose from an adjustable smartphone or tablet holder or get military-grade protection with a rugged clip-on holder. 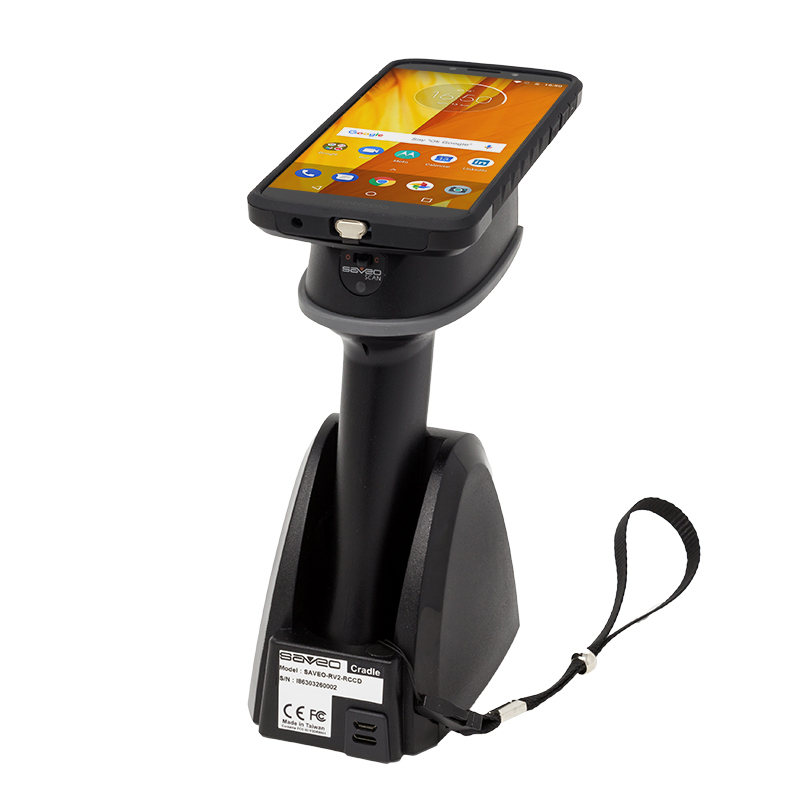 Minimize downtime by charging your device and scanner simultaneously.